It's hard to beat October in Elkhorn City! Weekend whitewater releases, the changing fall colors, another great show at ACT, and much, much more. Whitewater releases on the Russell Fork will draw paddlers from all over the world each weekend of the month. The Heritage Council hosts the annual Paddler Appreciation dinner on October 13 and the Russell Fork Rendezvous on the 27th. For more information about whitewater, go to www.russellfork.info. 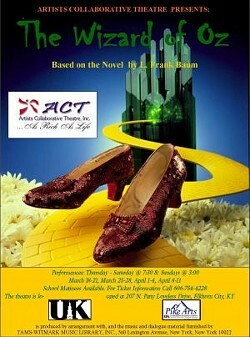 If you want to see the Wizard, you'd better get your tickets now! 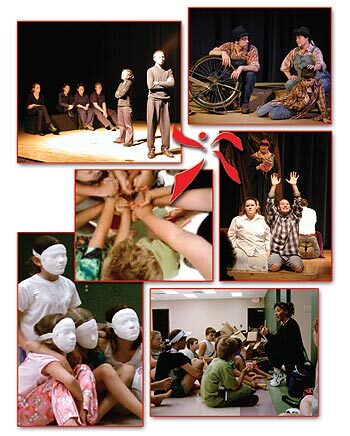 Artists Collaborative Theatre's latest production is filling the seats of the state of the art building. The Wizard of Oz, based on the novel by J. Frank Baum, combines the unlimited talent of the fine cast with a bit of technical wizardry for a spectacle you've got to see.